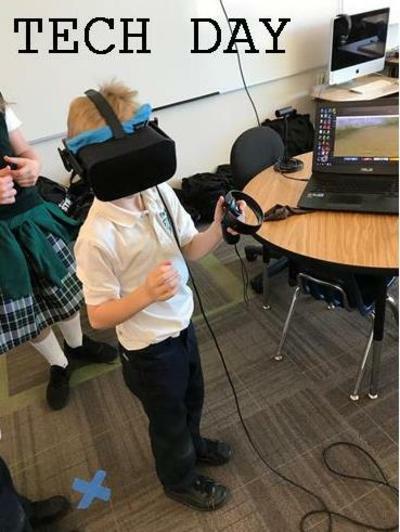 Kindergarten and First Grade experienced their first annual TECH DAY today on campus. 3D printers, Virtual Reality stations, Snap Circuits, KEVA planks, hex bugs, and chemical explosions! This is one of four separate on-campus field trips the kids will experience throughout the year. Let us know if you have a skill to share for next year!